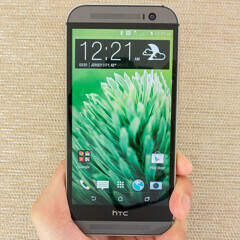 HTC’s brand new One M8 was launched in the US and the UK on March 25, and it isn’t widely available around the world yet. One of the few other markets that got the M8 is Taiwan (HTC’s home country), and it looks like the smartphone is already a hit there. Focus Taiwan reports that One M8 orders “have been doubling every day” in Taiwan since March 25, and, according to the handset’s local distributor, "demand is higher than supply right now." Unfortunately, specific sales figures aren’t available at the moment.